What dish should a European lawyer bring to the Chinese table? From what I understand, without gaining Chinese citizenship (and the fluency required to pass the bar exam), a foreign lawyer will never practice Chinese law. With that in mind, what should a foreign lawyer bring to China in order to be able to work in the legal field over there? Many of the Chinese Universities that have LLM programs, offer their students a degree in Chinese law and Chinese business law. But since a foreign lawyer is not able to practice Chinese law without passing the bar exam, why should one make all the sacrifices needed to obtain an LLM in Chinese/Chinese business law? As a huge admirer of China and it´s culture my future goal is to be able to study and work in China. However it is unclear to me what dish I should bring to the "Chinese-table". What foreign law-knowledge are the Chinese and the firms in China seeking? What does a European lawyer with an LLM degree in Chinese law do in China? You must take into consideration. A foreign-born lawyer breaching the PRC's borders seeking employment at any one its LLCs will not happen. Many foreigners envision employment at a LLC in co-operation with a Chinese LLC - just to recognise - that it was too farfetched. Because there are PRC born law students competitively seeking to work for well known LLCs. Most of them are foreign educated too. It is possible to be a foreign-born practicing lawyer within the borders of the PRC. Just you will have to research what part of the PRC and area of law will be accepting of foreigners. Your best option is seeking employment with an European LLC that co-operatively does business with the PRC. Having a specialised LLM in Chinese Law will not be the silver bullet in gaining employment within the borders of the PRC. You have to take into consideration that PRC-born exchange students you saw at your uni in Europe. They came over to learn your judiciary while the thought of during a specialised LLM in Chinese Law was not conceived. Personally, and this is an opinion, it would be a waste of time/money to do a specialised LLM in Chinese Law. No certainty if there is a success rate for foreign-born lawyers becoming practicing lawyers within the PRC. If you have a passion for undergoing this process. Be sure to research LLCs whom do business in/out the PRC. <blockquote>From what I understand, without gaining Chinese citizenship (and the fluency required to pass the bar exam), a foreign lawyer will never practice Chinese law. With that in mind, what should a foreign lawyer bring to China in order to be able to work in the legal field over there? 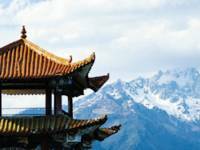 Which university is best for LLM in Chinese Tax Law? I have graduated in Law from a UK university and would like to continue with LLM in Chinese Tax Law. I am from Bulgaria not from UK.